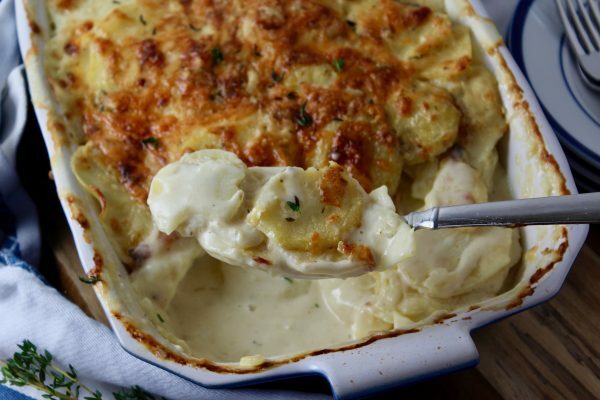 Tender thinly sliced potatoes layered with white cheddar and gruyere cheese baked with cream and stock that’s seasoned with Dijon mustard and thyme. A sprinkling of extra cheese on top browns up nice and crispy. Cinnamon Baking Chips can be hard to find in stores – now you can make your own Homemade Cinnamon Baking Chips using 5-simple ingredients! They’re so delicious! Your favorite snickerdoodle cookies in a quick and easy to make bar form! 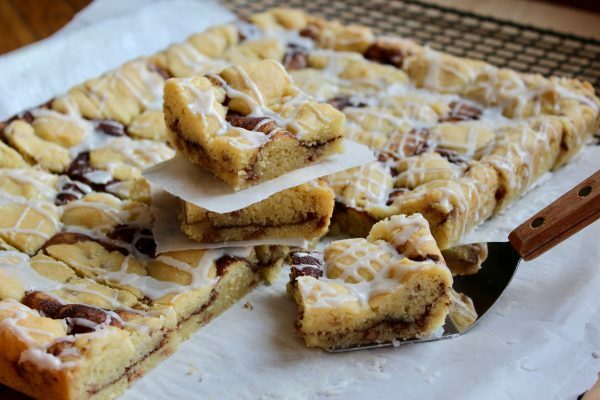 These delicious bars are studded with cinnamon chips and layered with cinnamon sugar! 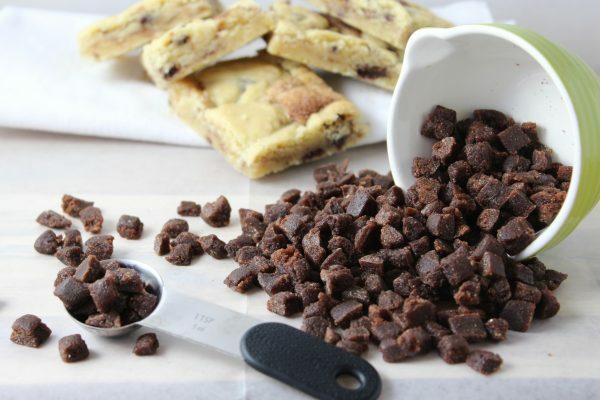 They make a great dessert and are delicious with your morning coffee too! Do you remember cookies from the 70’s with Rice Krispie cereal in them? I recall liking the crispy little bits in them as I never liked nuts in my chocolate chip or oatmeal cookies. I created my own version with M&Ms, chocolate and peanut butter chips! The rice cereal adds a delicious crispy texture! 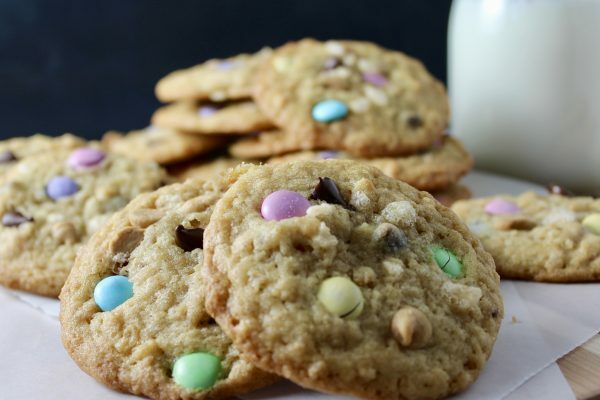 Read more for food stylist cookie tricks! I am so excited about this cheesecake!! It is absolutely delicious! 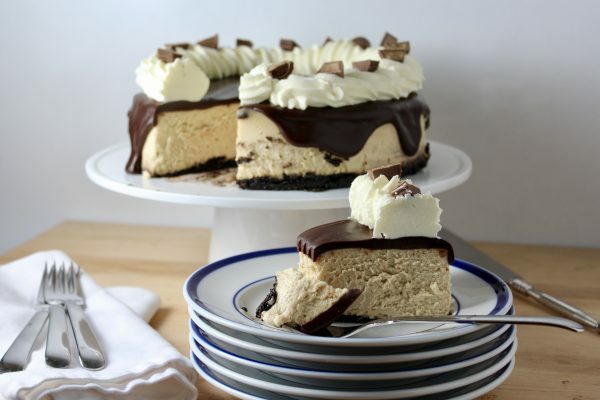 The creamy peanut butter cheesecake filling sits atop an Oreo crumb crust and is topped with rich chocolate ganache! The classic Hot Spinach and Artichoke Dip baked up all warm and cheesy! Get ready to dig in with crostini, veggies or tortilla chips! 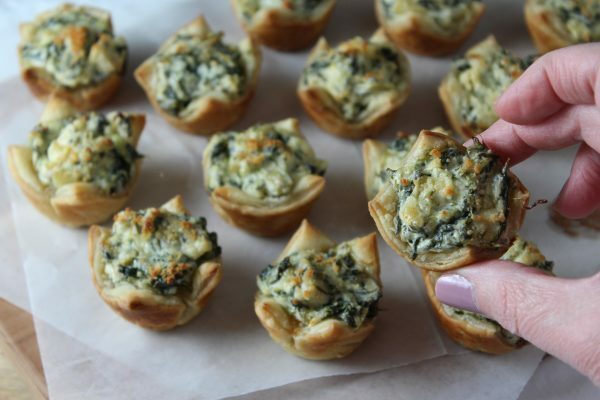 You can also spoon the dip into these delicious 2-bite appetizer Spinach and Artichoke Dip Puff Pastry Bites! They’re a crowd-pleasing appetizer that freezes very well – great to make ahead! 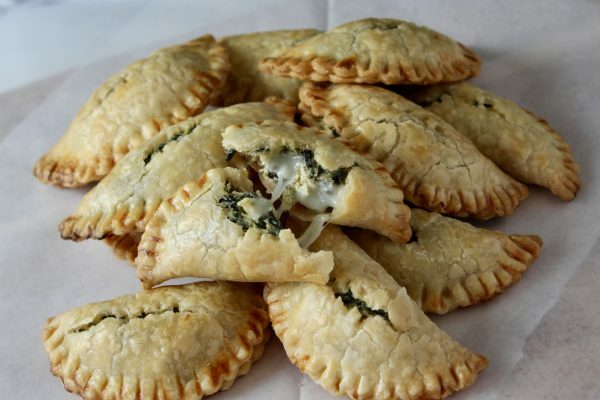 The classic Spinach and Artichoke Dip gets an update – all wrapped up in 2-bite sized empanadas! They bake up golden brown and flaky, literally bursting with creamy spinach and artichoke dip. 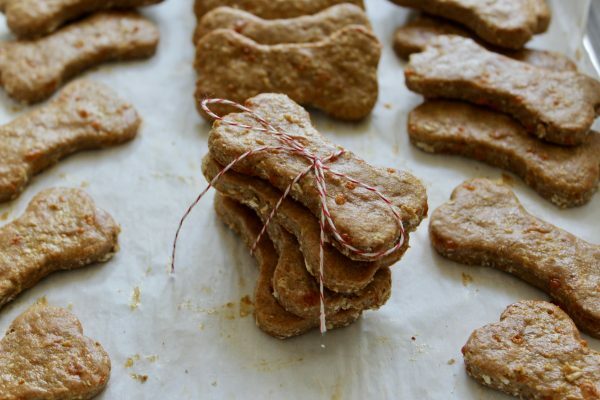 I hope the tails in your home will be wagging for these homemade dog treats! Woof! They’re made with plain Greek yogurt, oats, egg, whole wheat flour, beef broth and cheddar cheese! Mix up the simple dough, roll out, cut them and bake! The recipe makes about 30 treats. I used a 3″ long bone shaped cookie cutter. They keep for several days in an air-tight container or you can freeze them. 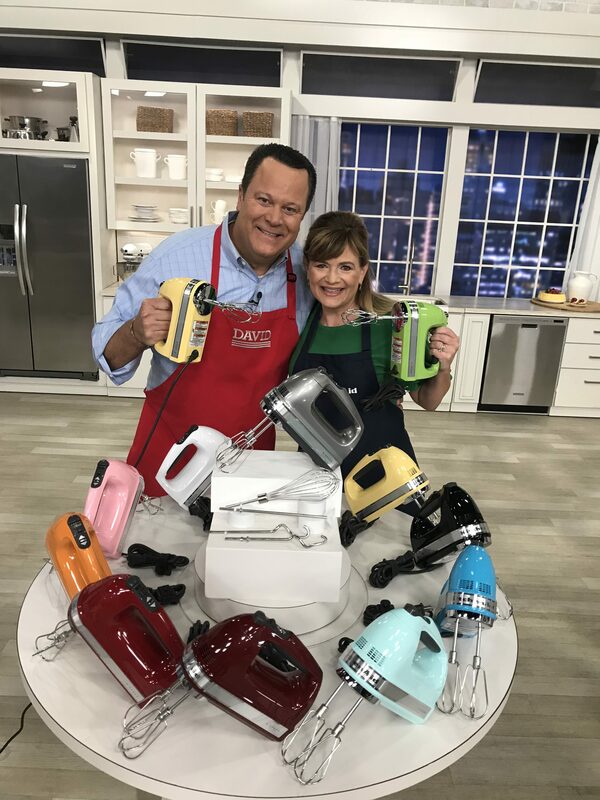 I’ve been asked for this recipe many, many times… here it is!! 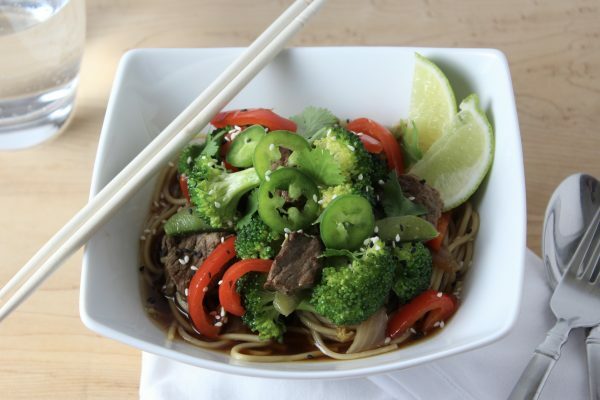 These beef and broccoli ramen bowls are a weeknight favorite at our house! They take under 30 minutes to prepare and everyone can customize their bowl with tasty toppings. You can use various cuts of beef and change up the vegetables to your liking. Let me know if it becomes a favorite at your home too! I’ve been making various versions of skillet s’mores for a while now! 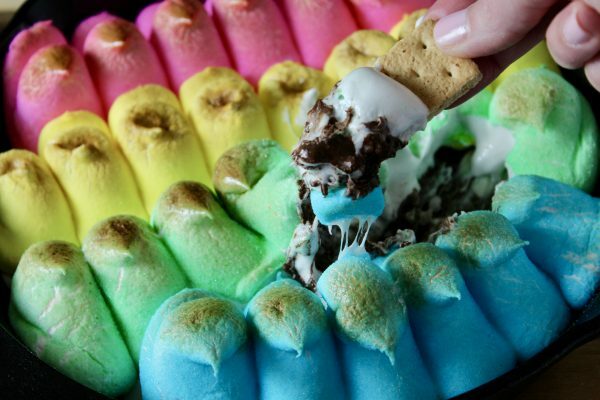 Usually semi-sweet chocolate chips and regular marshmallows – it makes for a super quick and fun dessert that everyone can dig into with graham crackers! You can make all different kinds of versions with peanut butter, cookie butter, caramel…the options are endless!